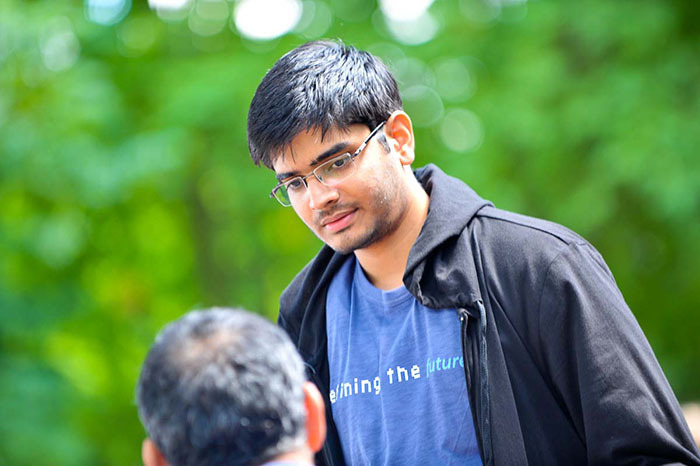 The research done by Rahul Potharaju, a PhD candidate at Purdue’s Department of Computer Science, during his internship at Microsoft Research has been awarded the Microsoft Trustworthy Computing Reliability Award for 2013. This prestigious award recognizes individuals who make significant contributions to privacy, security, and reliability through technology innovation in four categories: Privacy, Reliability, Security and Trustworthy Computing. Potharaju admitted he was surprised, but honored to learn the news. “I have learned numerous indispensable lessons in this saga spanning multiple disciplines of system design, database optimization, information retrieval and user interface design that taught me how to take an interdisciplinary and holistic approach towards research — a skill that I hope would guide me in my research journey for years to come,” Potharaju said. Potharaju and his mentor from Microsoft Research, Navendu Jain were a team recognized for NetWiser a unique technology that performs real-time processing of network failures. The team delivered a commercial-grade solution capable of accurately correlating disparate data sources across extraordinarily large data sets, as well as presenting the data in a unique, and easily digestible manner. The findings based on this award-winning research have been published at several prominent academic venues. Jain commented that Potharaju has been instrumental in making the NetWiser project a success. “While many researchers may be content with building a prototype of a system to test their ideas, Rahul went the extra mile in getting the system production-ready and deploying it in the real-world, a rare quality for any graduate student," he said. The award website reports global reliability improvements being made in Microsoft data centers based on NetWiser, and that its business value will continue to increase over time. NetWiser is one of the first real-time production systems that enabled Microsoft Business Groups to do correlation and analysis of network failures, positively impacting their service across all datacenters. NetSieve (part of his PhD research work at Purdue under the advisement of Professor Cristina Nita-Rotaru) was another outcome of this work that enables operators to perform automated root cause analysis from a large number of customer and incident tickets.